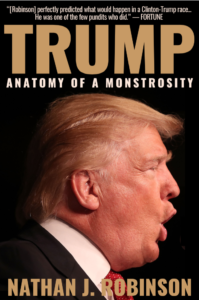 Current Affairs is pleased to announce the upcoming release of our new book Trump: Anatomy of a Monstrosity, which will ship starting on Inauguration Day (Jan. 20th). Copies can be ordered from Amazon. 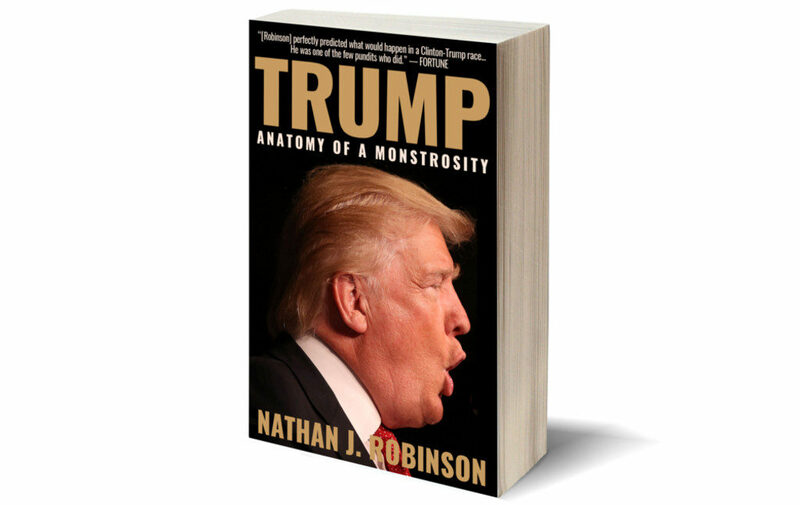 Anatomy of a Monstrosity is the ultimate book for understanding Donald Trump himself, as well as what his election means for the United States and the world. But it is much more than a book about Trump: it is a book about the forces that led to his existence, and a guide for how to create a Trumpless world. Anatomy of a Monstrosity is not simply concerned with examining Trump as a human being, but looks closely at why progressives failed to stop his election, and develops a series of proposals for how ordinary people can fight back against Trumpism and win. Anatomy of a Monstrosity is divided into four parts: Who He Is, How It Happened, What It Means, and How To Stop It. Expanding on Current Affairs’ previous highly-regarded post-election commentary, Anatomy will help the shell-shocked and terrified figure out what just happened and whether there is any hope left. Over 350 pages, the book goes carefully and engagingly through recent events, giving readers a realistic but somewhat encouraging perspective on the present situation. 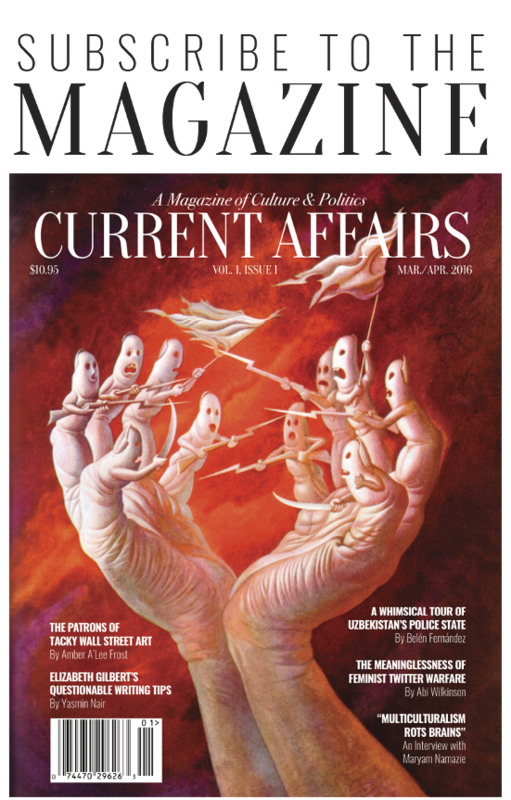 Current Affairs’ early writing on the election has been praised by Fortune magazine for its prescience, and our loyal readers have come to rely on our signature brand of independent-minded and thorough political analysis. Anatomy of a Monstrosity expands our work on the 2016 election into book form, giving readers an insightful account of possibly the most consequential event in recent human history. In the same meticulous and compelling style as Superpredator: Bill Clinton’s Use and Abuse of Black America, Anatomy of a Monstrosity analyzes political events in a manner that is both rich in facts and morally compelling.